Clouds: Week 13 of 52 Photo Challenge. This week we have trained our cameras to the skies in our 52 week Photography Challenge. Capture the never-ending changes in our skies. This challenge is for everyone! All you have to do is look up. As you know clouds are simply water that is vaporised and condensed to form clouds. It is only when there are different light effects from the sun and weather that we can use a photographer's eye to capture the sometimes dramatic or subtle effects. A late sunrise shot only possible because the heavy clouds have obscured the direct sunlight. The highest clouds in the atmosphere are cirrocumulus, cirrus, and cirrostratus. Cumulonimbus clouds can also grow to be very high. Mid-level clouds include altocumulus and altostratus. Shot just as the sun was rising 'the golden hour' yields beautiful, soft light that reflects gently around these cumulus clouds. Clouds are a great way to add an extra dimension to your landscape shots. They can add interest to backgrounds and even strengthen compositions. A lovely shot that captures the low level clouds about to drop a lot of rain on everything in it's path. Since clouds are water, sometimes it can be difficult to actually focus. 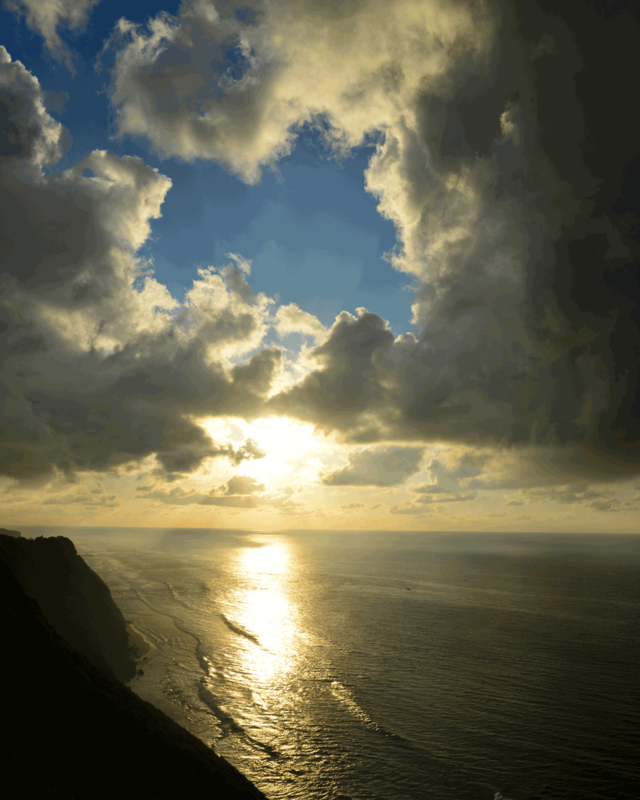 Choose a part of the cloud or an edge that has an element of contrast to make it easier for your camera to focus. 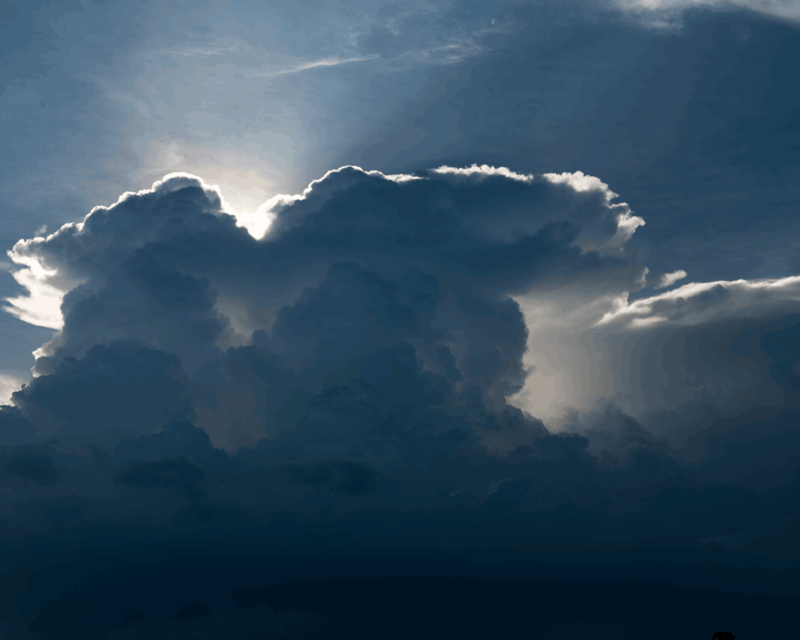 A gorgeous, huge cumulonimbus soars into the sky. The sun behind illuminates the different fluffy layers and creates a beautiful dramatic edge. A polarising filter is a great accessory in this context because they block certain light waves from entering the lens. The result is brighter whites and deeper blue skies. 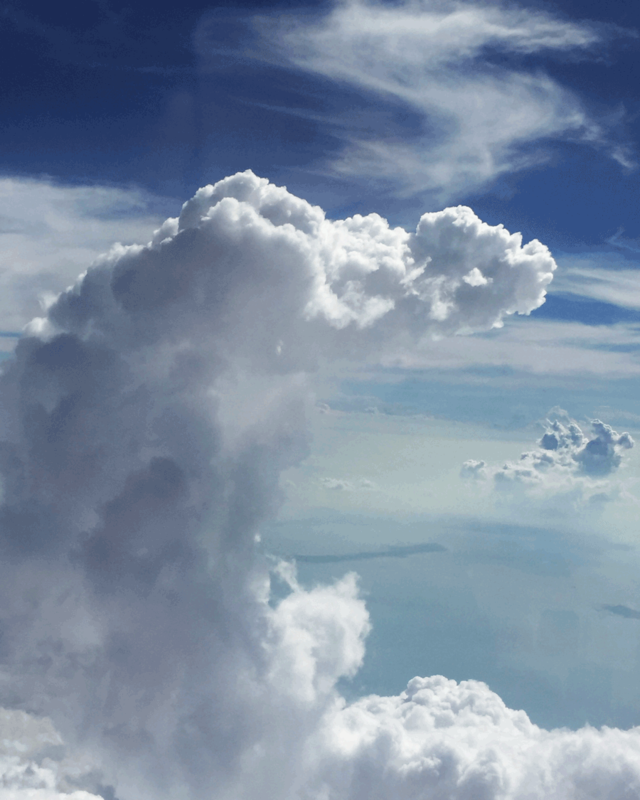 Another cumulonimbus, this time shot from the side angle from the window of a plane. As clouds are usually moving quite fast, long exposures or slow shutter speeds will blur the detail. 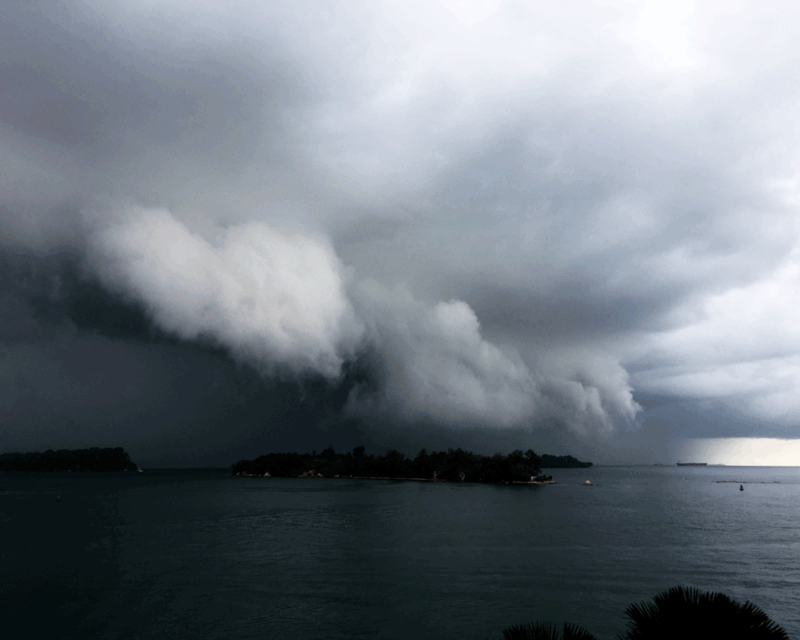 Where possible, use a tripod and shoot faster shutter speeds to capture the sharp detail of the cloud structure. I had to wait quite a while for the clouds to arrange themselves for this shot. Depending on the available light you may want to consider adjusting your ISO to compensate for the faster shutter speeds required. A gorgeous mackerel sky often warns of impending bad weather. Think about how the light is changing and the effect it has on your cloud. Sometimes its worth waiting for the sun to set a little lower to create a great shot. A combination of high level stratus and lower level cumulus cloud combine to create a beautiful painterly effect in the sky. The best thing about shooting clouds is that you will NEVER see the same image twice. All weather conditions are fair game. Use a fast shutter speed especially if there is wind and cloud movement. Use bracketing or exposure compensation to provide more choice between your shots. How will you make the most of your skies?